Metal dynofoam dimensional letters are recommended for indoor or outdoor use and are popular in libraries, banks, churches, schools, and business offices. The letters are constructed of a high density polystyrene foam core with a hard, smooth surface on the front and back. For years this material has been the preferred material to use by photo framers, artists, designers, sign painters, exhibit builders and engineers. Dynofoam resists dents and punctures because of the exceptionally hard surface. deSIGNery’s metal gatorfoam dimensional letters are created from the highest quality gatorfoam with a stunning laminate on the front. 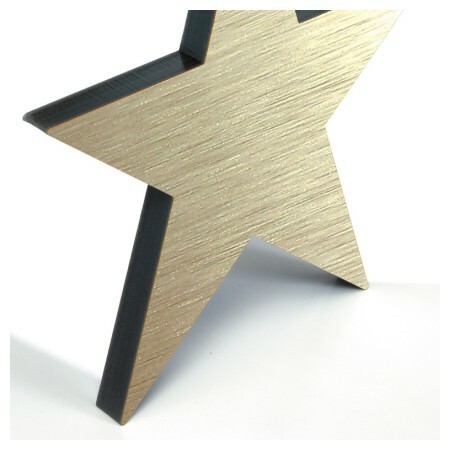 This laminate can either be a polished or brushed finish in gold, silver, copper or bronze. The sides of the metal gatorfoam can also be painted to any color of your choice for an eye popping appearance. 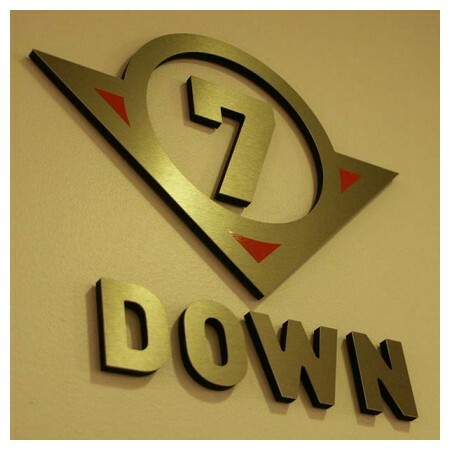 DeSIGNery’s dimensional lettering and graphics uses high quality materials and advanced production processes in order to help you give your property a BIG name. Dimensional letters can be made of many different materials; acrylic, wood, aluminum, PVC, or gatorfoam. 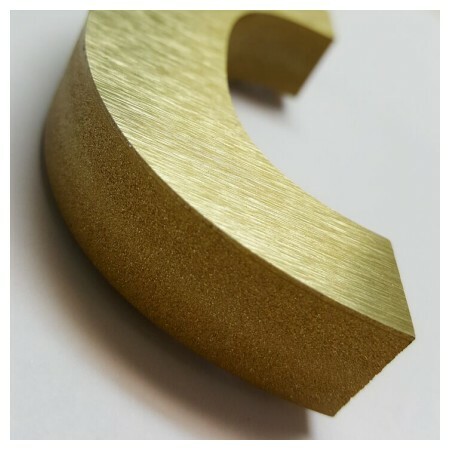 Our most popular type of dimensional lettering is the gatorfoam material. The reason for this is because it is light weight and very durable. There are so many different ways to display your company name and logo. A professional appearance starts with laminated PVC office or outdoor building lettering using WIlsonart® high-quality metal laminates. When your customers walks into your reception area, you want them to see a professionally displayed company name or logo behind the secretary. Your customer will know that they are dealing with a professional company. Metal PVC dimensional lettering is a unique and simple way to display your company with a touch of style and class..
During our Spring Sales Event is a great time to buy Laminated Foam Letters. We have marked down all of our Metal Laminated Foam Dimensional Letters for our Spring Blow Out Sale. All Laminated Foam Letters pricing pages have been updated with our sale prices saving you 10% to 20% on sign letters. If you need help deciding between our many choices of custom dimensional letters on sale during our Spring sales event, just click here or give us a call.